Made of PU leather. not fade, no distortion, breathable, lightweight, washable and soft. Note: S: mesh on both sides. L: mesh on one side, three holes on the other side. Zipper from left to right, easy to in and out. Snap button pocket at the front, zipper pocket at the back for small things. Removable plate at the bottom, easy to clean. Detachable adjustable shoulder strap included. Breathable mesh in the middle, pet feel cool and comfortable in the bag. Besides, pet can see outside, but people out cannot see the pet inside. 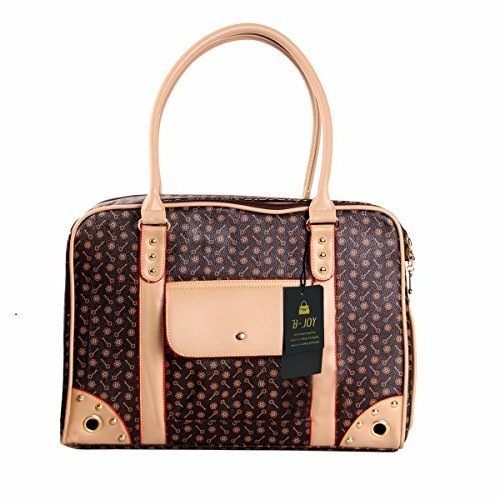 Size: 15.7x11.8x7.9 inches(LxWxH), made of PU leather. not fade, no distortion, breathable, lightweight, washable and soft. If you have any questions about this product by BETOP, contact us by completing and submitting the form below. If you are looking for a specif part number, please include it with your message.